New Jewish Resistance aspires to be a movement uniting all Jews who believe in fighting Jew-hatred in the diaspora and making common cause with the opppressed, not rallying around an illegitimate settler state. This website serves as a forum to launch that movement. It is published by the CounterVortex Family of Websites, a project initiated by veteran journalist Bill Weinberg. Bill Weinberg is a 30-year veteran journalist in the fields of human rights, indigenous peoples, ecology and war. He was for 20 years producer of the Moorish Orthodox Radio Crusade, an anarchist-oriented variety show on WBAI-FM in New York City, before he was fired for opposing anti-Semitism at the station. His books include Homage to Chiapas: The New Indigenous Struggles in Mexico (Verso, 2000). He lives on New York's Lower East Side. Just another anti-Zionist Jew from New Jersey fighting for radical change—no biggie. Contact me at bethanykoval@gmail.com for banter and/or business inquiries, but mostly just banter. Dr. Nirit Ben Ari has a Ph.D.in Political Science from the City University of New York. Her dissertation is titled: "From the South Bronx to Israel: Rap Music and the Israeli-Palestinian Conflict." Nirit was a music editor in Galey Zahal, the Israeli military radio station, and an adjunct lecturer of Political Science in New York and Israel. 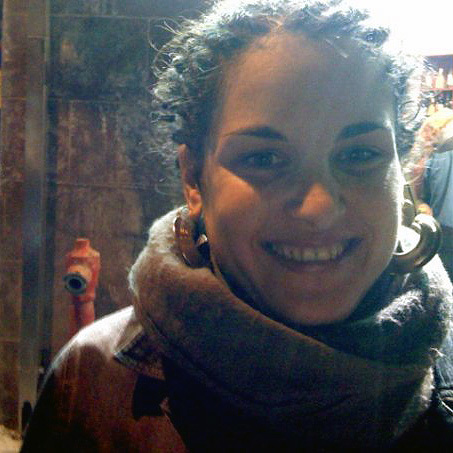 She writes for Haaretz, and teaches at the Bezalel Academy of Art and Design in Jerusalem. She lives in Tel Aviv. Journalist, writer, author of, inter alia, Dixieland: The Birth of Jazz (Friedman-Fairfax, 1995), Timeless Places: Paris (MetroBooks, 1999), and A Parent’s Guide to New York City (Mars Publishing, 2001); socialist, pacifist and peace activist, and advocate for justice for Palestinians; she writes about movies and pop culture, travel, and the movement(s) for peace and justice.